Brow Lift Recovery - Kansas City, MO - Madhukar G. Chhatre, M.D. Lines and creases between the eyes and across the forehead can be eliminated through a brow lift at Summit Plastic Surgery & Med Spa. During brow lift recovery at our Kansas City, MO-area practice, patients can expect common side effects, such as bruising and swelling, to subside in less than two weeks. Bandages can be removed a couple days after surgery and stitches can be removed after about 10 days. Dr. Madhukar G. Chhatre performs brow lift surgery under general anesthesia. Since it is an outpatient procedure, patients will need to arrange for a driver to take them home after their appointment. When your surgery is complete, a compression dressing or drain may be placed near the incisions to reduce inflammation and swelling. Full recovery generally occurs about six months after treatment, giving patients a smoother, refreshed, more youthful appearance. Once you are home, it is important to rest as much as possible. While strenuous activity should be strictly avoided, taking short, occasional walks will help increase circulation and prevent blood clots. Slight discomfort: Some level of tenderness or soreness is typical, especially around the incision sites. This can be mitigated with over-the-counter pain relievers or prescription medications. These side effects typically diminish in about one week. Inflammation and bruising: Swelling and discoloration will be apparent for about one to two weeks. Symptoms may linger a bit longer but are generally not noticeable to others. Although the primary treatment area is between the brows and on the forehead, inflammation may extend as far down as the cheeks. Tingling or numbness: Due to the incisions created during your brow lift surgery, you may experience numbness or tingling sensations. These symptoms typically last for a week or two and will gradually be replaced with itching before disappearing entirely. During the first two to three weeks after your procedure, the brows may appear extremely elevated. This is typical at this point and should not be a cause for concern. 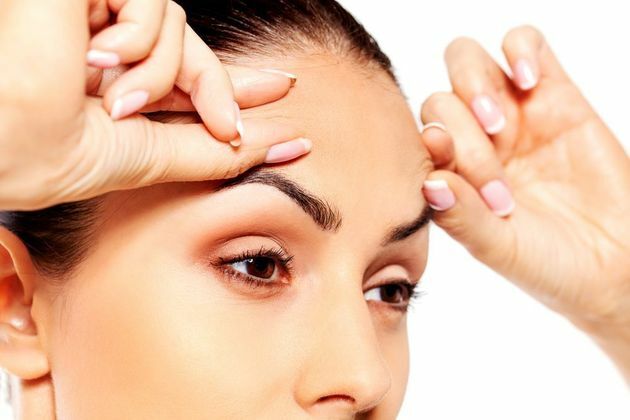 Over time, the brows will settle into a natural-looking position and initial bruising and swelling will continue to subside. Full recovery generally occurs about six months after treatment, giving patients a smoother, refreshed, more youthful appearance. Do not shower until the initial bandages are removed. Apply cold compresses to the surgical area to reduce the risk of swelling and inflammation. Keep your head elevated with pillows for the first few days. Take all medications exactly as directed by Dr. Chhatre. If you are considering brow lift surgery, the team at Summit Plastic Surgery & Med Spa will help guide you through a successful surgery and recovery. To learn more, schedule your consultation today. Contact us online or call our office at (816) 347-0026.